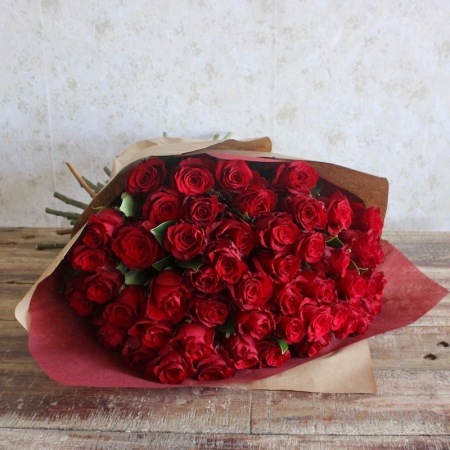 An exquisite bouquet of 50 premium 50cm Red Roses has the potential to makes heads turn and surpise your loved one this Valentine`s Day. This bouquet is created from the freshest blooms direct from the farm. Create some romance this Valentine`s Day order this amazing bouquet today.